After Breitbart News reported that three refugees in Vermont have been diagnosed with active tuberculosis (TB) over the past seven months, an official with the Vermont Department of Health admitted that a total of fifteen refugees in the Green Mountain State were diagnosed with active TB between 2003 and 2015. That brings the total of refugees the Vermont Department of Health now admits have been diagnosed with active TB between 2003 and June 30, 2016 to seventeen. One of the three diagnosed in the past seven months was diagnosed in December 2015. The other two were diagnosed in 2016. Between 2003 and 2015, the state has recorded 77 cases of active tuberculosis in Vermont. Of those, the Health Department says just 15 were diagnosed in refugees. 26 of the cases were in U.S.-born individuals. The remainder were in people who fell into other categories, like people living in Vermont on student or work visas. Since only 6,300 refugees have arrived in Vermont over the past twenty-five years, these new statistics reveal a third-world level of active TB among the refugees currently residing in the Green Mountain State. “We will continue to see refugees with latent TB infection [LTBI] and we will continue to see, in rare cases, active TB illness in refugees – like we do all the time in U.S.-born Vermonters,” Kelso added. Kelso’s statement is one of the most egregious examples yet of the politicization of the public health establishment in the United States at the expense of science and the public health. When one out of every 370 refugees in Vermont develop active TB over a thirteen and a half year period, it is simply factually incorrect to declare those cases to be “rare,” or to suggest they occur at the same rate as active TB during the same time frame among U.S-born residents, when it is 60 times greater. “Roughly a third – about 35 percent I think it is – of refugees test positive for TB, meaning they have latent TB infection . . . And it varies a little bit. It depends on what part of the world they come from, because there’s more TB in some parts of the world than in others, ” Kelso said, failing to note that Vermont has the highest rate of LTBI of any state so far reporting this data among refugees. As Breitbart News reported, 29 percent of refugees in one county of North Dakota test positive for LTBI. The nearest state to Vermont in terms of percentage of refugees who test positive for LTBI is Tennessee, where 27 percent of refugees are infected. The LTBI rate among the general population in the United States is only 4 percent. Though on average, only 10 percent of those with LTBI go on to develop active TB, the high rate of LTBI among refugees “increase[s] risk of active TB in refugee resettlement communities,” according to a 2013 UC San Diego study. As Breitbart News reported previously, the Vermont Department of Health has yet to provide any data on the percentage of refugees in the state who test positive for LTBI and successfully complete the recommended treatment program. The 2013 UC San Diego study found that completion rates for LTBI treatment among refugees are often low, thereby heightening the health risk those with LTBI pose to the general population. “[A]ll refugees are required to get a chest X-ray before coming to the U.S,” Vermont Public Radio reported she told them. 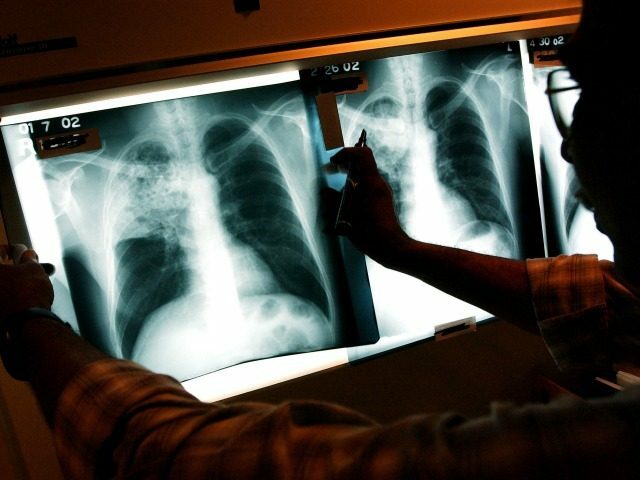 “If that chest X-ray indicates possible TB, they undergo further testing, including lab tests. If they’re diagnosed with TB, they’re not allowed to come here until they go through six months of treatment and further lab testing to show that they’ve been cured of TB. Only then are they allowed to come,” Kelso added. 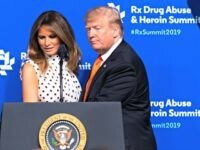 Kelso ignores the simple fact that most, if not all, of the seventeen cases of active TB appear to have come from refugees who were allowed to enter the United States with latent TB or what the State Department calls “active non-infectious TB,” perhaps one of the greatest oxymorons ever used. In other words, they easily passed the so-called “stringent medical screening that refugees go through overseas” despite pre-existing conditions that indicated tuberculosis risk, came to the United States, and developed active TB here. Refugees diagnosed in overseas medical screening with active extra-pulmonary TB may not be infectious. But there’s another group–those with positive chest x-rays that indicate active pulmonary TB who are “sputum smear negative” but who did not receive the more finely tuned smear culture tests that can detect the presence of active TB that smears miss–who are classified as “active non-infectious” and allowed to enter the United States even though they may be infectious under the “B-1” tuberculosis health risk classification. Some Vermont residents are tired of the constant stream of propaganda coming from the state’s public health establishment and the complicit refugee resettlement industry. “It’s time for public health officials and politicians to stop the propaganda and admit that the refugee resettlement program has turned the United States into a treatment center for people from other countries who have or are likely to develop active TB, all at the expense of the American taxpayer, at both the federal, state, and local level,” Darcie Johnston, founder of Vermonters for Health Care Freedom, tells Breitbart News.